Dental Assisting - Best Career For You? 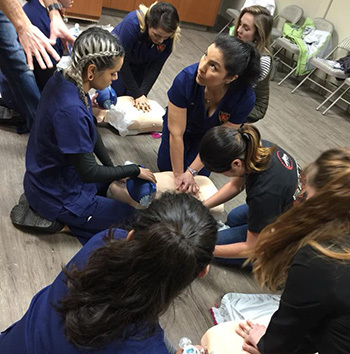 Becoming CPR qualified is just one of the skills a certified dental assistant needs to have. We provide this essential dental assisting training during our 13 week class. Do not sell yourself short – make sure to research the Dental Assisting programs around you and find out if anything is “too good to be true!” Do you have questions? We’ll give you the answers, no hiding or sugar coating involved! We want you to succeed, and to succeed you need to have all the facts! Our students will be the first to tell you that our course is fast paced, difficult, full of information, and FUN! If you are having a hard time finding your smile these days, why not look into that new career you’ve been dreaming about? Dental assisting is a highly sought after profession. At Elite we train the best, so give yourself the best start out there! These are the smiling faces (yes, be assured they are smiling under those fabulous masks!!) of the future Dental Assistants! Learning the proper techniques and procedures of taking an x-ray is just one of the many important things our students learn. At Elite we pride ourselves on the training our students receive, the way they always seem to excel and rise above the rest, and the friendships that are formed during each and every class. You will not only become the best in your new profession, you will gain personal AND professional relationships that will take you through to your exciting new career! 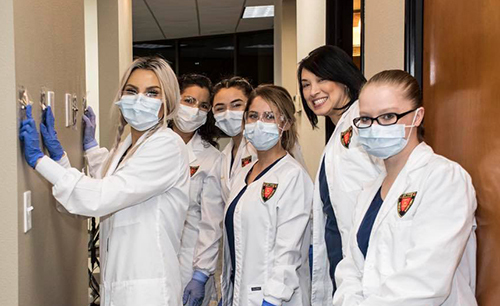 Did you know that dental assistants – especially the dependable, well trained dental assistants that Elite trains – are highly sought after? After only 13 weeks of training in our program with our top-certified instructors, you will be ready to become a dental assistant. You will be one of the Elite! 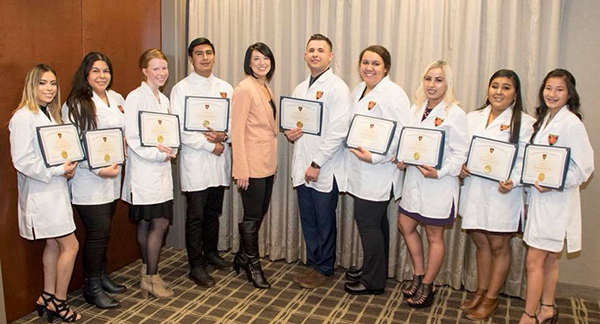 Our students graduate our program with the knowledge they need to be the best of the best in their new career field! They are the Elite of the dental assistants, and prove it over and over. Almost daily we have offices asking if we have any students available for a job. Are you ready to join the Elite and rise above the rest? Then give us a call! Classes fill up fast, ask about upcoming availability! Call us now at 360-433-0788, or email us for more information and to see if you qualify. Comments Off on Dental Assisting – Best Career For You? « Dental Assistant Career – Are You Ready?